Industrial microbiology encompasses the use of microorganisms and their metabolites for a wide variety of industrial products. Products derived from microbial products include a variety of beverages, food additives, healthcare products, and biofuels. Microbial products have been extensively utilized in fermentation processes for the commercial production of a range of enzymes such as cellulose, amylase, protease, lipase, streptokinase, and pectinase, and various types of antibiotics in the healthcare industries. This has given rise to a distinct global microbial products market. In addition, microbial products have been utilized for antibiotics, nutrients such as amino acids, vitamins, and organic acids, chemotherapeutic agents, vaccines. Key categories of microbial products are bacteria, fungi, protozoa, viruses, and yeasts. Various types of bacteria and fungi have emerged as good candidates in control mechanism of various plant diseases in the agriculture industry, world over. 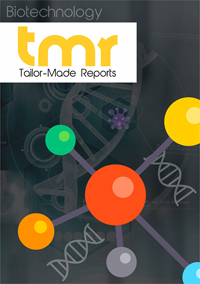 The rising relevance of microbial products in the production of enzymes for end-use industries such as paper, leather, and food preservation is propelling the growth of the market. Growing use of microbial products in producing healthcare and agriculture products with the help of genetic engineering methods is also boosting the global microbial products market. The market’s growth has been receiving constant, large impetus from recent advances in fermentation technology. The advent of genetic recombinant technology has enabled industry players produce more environmental-friendly and cost-effective products. Rising demand for microbial products for clinical diagnostics products is a key factor boosting the global microbial products market. Recent research have focused on manipulating microbiome to generate higher-value chemical products. This has paved way to a wide range of preferred products. A recent study by a team of researchers at University of Wisconsin-Madison analyzed the potential of a mixed microbial community. They found using a bioreactor that their constitution and metabolic activity hold enormous potential in generating industrial products of vast commercial significance. Applying thermodynamic analysis, they found that leftovers of lignocellulosic ethanol production improved the production of medium-chain fatty acids. These acids are potential source of industrial chemicals and pharmaceuticals in the microbial products market. Research sheds light on the community of microbes that make these materials useful in biofuel production. However, whether such a community of microorganisms needs genetic engineering approach is open to debate and may influence the future direction of research. Furthermore, recent advances in biotechnology have expanded the prospects of engineering microorganisms, creating new, exciting avenues in the microbial products market. On the regional front, developed countries, notably the U.S., has been increasingly lucrative markets for microbial products. Rising production and consumption of microbial products and rapidly rising expenditure on utilizing microbes for healthcare products in these regions are generating substantial revenue prospects. For instance, in the U.S., sizeable investments being made in industrial microbiology production methods to generate an array of useful health-related products for humans and animals is creating new avenues in the microbial products market in this region. Rising per capita expenditure, coupled with favorable reimbursement scenarios, is fueling the strides in industrial microbiology. The competitive landscape of the global microbial products is expected to feature an increasingly fragmented landscape. This has put substantial pressure on profit of manufacturers and producers in the global microbial products market. Some of the players aiming to hold sizeable shares in the global market are Novartis AG, Sanofi S.A, bioMérieux SA, Pfizer Inc., GlaxoSmithKline plc, Valent BioSciences Corp., and Merck & Co., Inc.